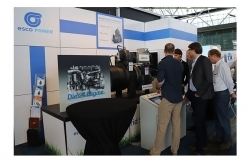 Belgian power shift transmission and hydrodynamic torque converter manufacturer Esco Power has launched its latest Parallel Hybrid Transmission (PHT) unit at this year’s Electric & Hybrid Marine World Expo. 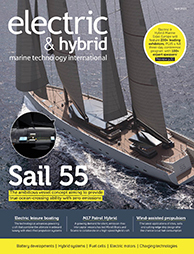 The new PHJT100A with HESP20kW/36kW packages is an all-inclusive solution that contains the necessary components and service for parallel hybrid propulsion integration. Developed as the ‘little brother’ of Esco Power’s PHT series of hybrid transmissions, the PHJT100A accepts diesel engines up to 188kW and is available in several ratios. It contains an electromagnetic 24V DC clutch for disengagement of diesel engines, and output can be connected directly to the propulsion line or remotely to a marine gear.